My mother was the youngest of eight, and I am the youngest of three. We both are the youngest members of our respective generations. 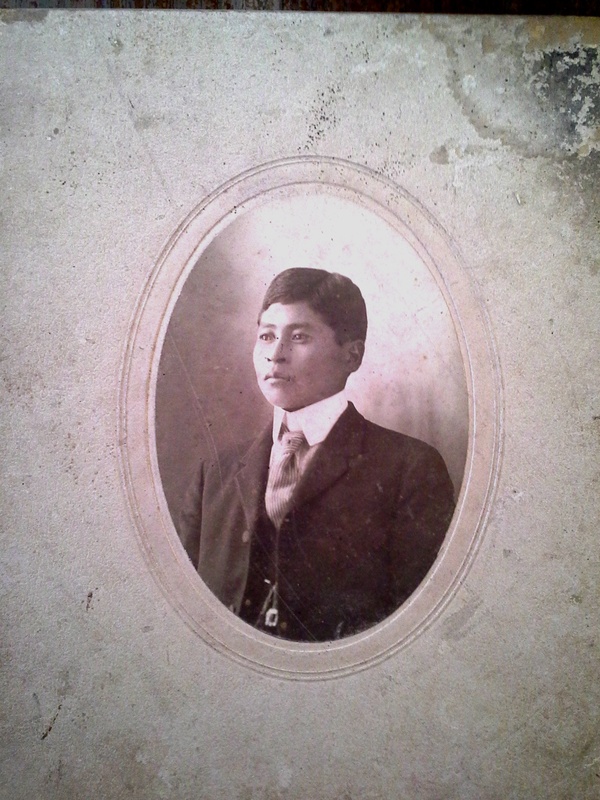 My grandfather, who would be 135 today, died when I was one year old, and my grandmother died a year before I was born. Never having known my grandparents, I was therefore eager on this trip to find out more about them and their families. Everywhere we went, I asked people for pictures and recollections of my grandparents and other family members. One family we visited opened a long-neglected drawer and uncovered a treasure trove! There was a faded copy of my grandparents’ wedding portrait … which had never been seen by my mother or anyone in the US. 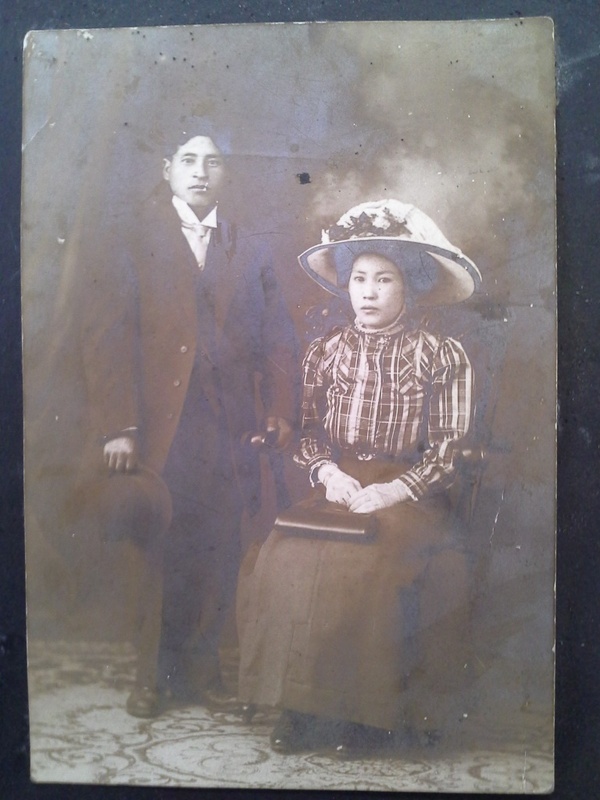 My grandparents were married in 1911, which meant this picture was 104 years old! All the clothing must have been rented for the portrait, since they would not have owned anything like what we see in the picture. Another photo surfaced of my grandfather before he was married. We believe this was taken in the US, so that places the date of this picture between 1904 and 1911. 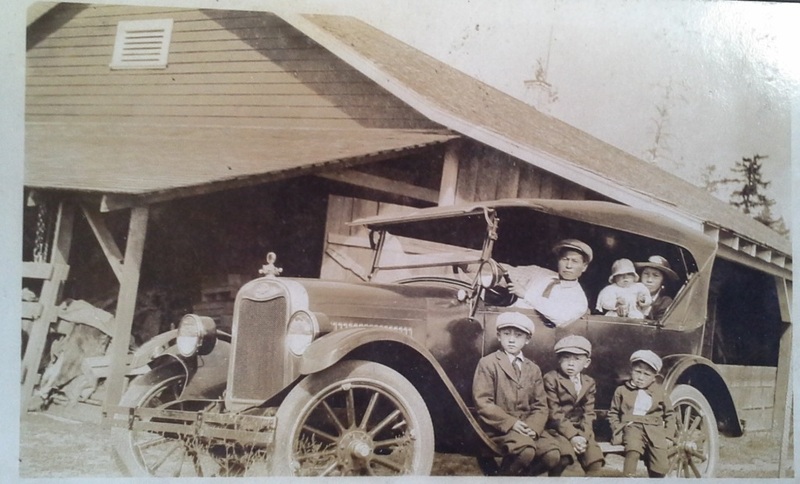 Here’s a picture of what was probably the first family car. My grandparents are in it, along with three of my uncles and my second aunt (the eldest aunt, though born in the US, grew up and perished in Japan as detailed in a previous post). Still more children were yet to be born, including my mother. In later years when my grandfather wanted to buy a car, he would bring the whole family to the auto dealership. Whichever car they could all fit in was the one he bought. Also located was a letter written in 1952 by my grandfather to a family at a Buddhist temple. It is amazing for several reasons. First, he addressed it to “Rev. Y. Yamanka.” Grandfather didn’t know the correct title for a Buddhist priest, so he put “Rev.” — short for “Reverend” — which is the wrong religion. Second, he addressed it simply to “Yokohama, Japan.” He included no post code, ward, prefecture, or anything beyond Yokohama — which was the wrong city. All of us, American and Japanese alike, scratched our heads over how the letter was able to reach its intended recipient. We do not know how long it took. The letter itself is handwritten in kanji. This is also surprising, since my grandfather had only a 6th grade education and was 72 years old at the time he wrote the letter. Grandfather writes about 5 grandchildren (my cousins), my mother winning a scholarship and traveling around the country, and two uncles graduating and going to work for the government. He closes by saying travel is opening up between Japan and America, and he suggests that his relatives in Japan (many who were still poor and struggling in a post-WWII economy) might come to America and make a good life there. My grandparents were married more than 50 years. They raised eight children (seven of whom my grandfather delivered at home), were stripped of their civil liberties and incarcerated for nearly three years in internment camps, and had five sons serve in the US armed forces. Although I never got to know my grandparents personally, I am humbled by their perseverance in the face of adversity, their good deeds which are still remembered more than 60 years later, and the legacy that lives on in a family that spans the Pacific. Some of the mystery surrounding the 1952 letter has been solved. 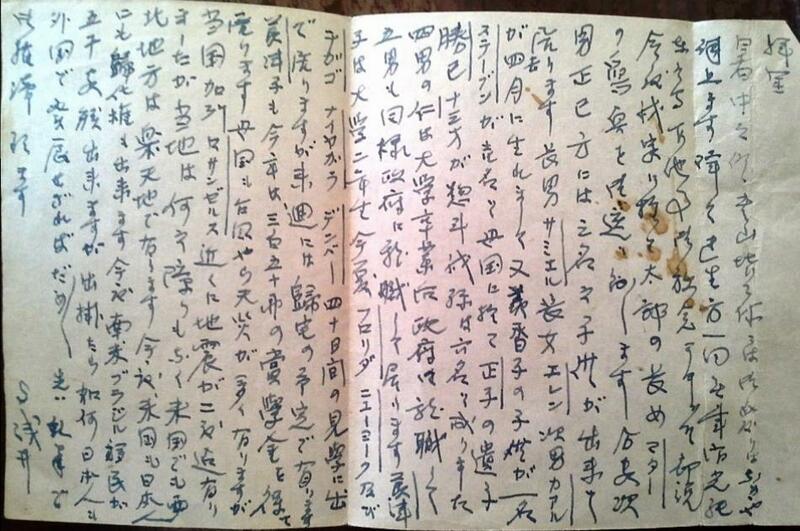 A good friend has been translating the letter, which has some archaic writing which is a bit hard to understand. They believe grandfather wrote both the English “Rev. 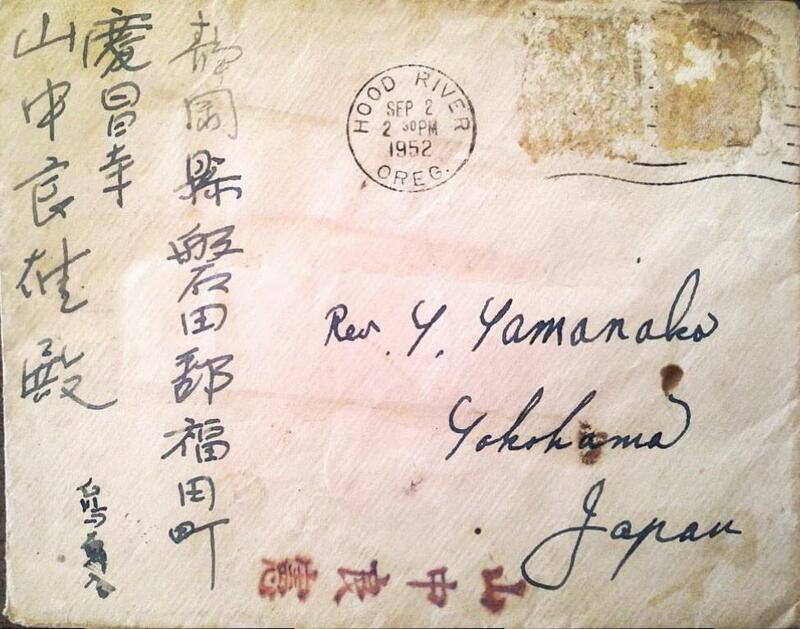 Y Yamanaka” as well as the kanji on the left edge of the envelope. There, the kanji does correctly identify the prefecture (Shizuoka), city (Iwata), and neighborhood (Fukuda). The ink and the writing style is similar to the kanji in the letter contained therein. He did make a slight error in the kanji name of the priest, and the red stamp at the bottom of the envelope is the correct kanji for “Yoshinori Yamanaka”). As for why he addressed the letter in English to Yokohama, a city over 200km away, the theory is that Yokohama may have been the biggest and only city to accept international letters in those days. So the reasoning goes that letter was first sent from the US to Yokohama, and there the kanji address on the left edge was read to get the letter to its final destination correctly. So it is less of a mystery, but still an interesting story.